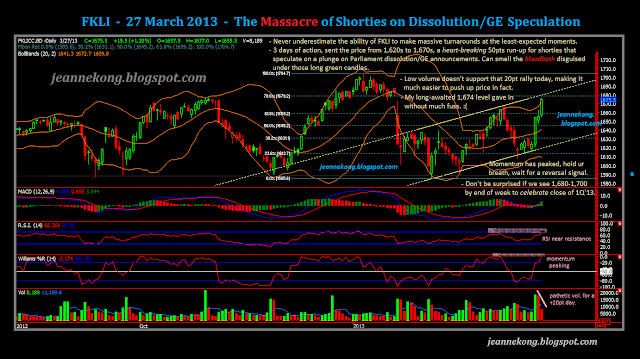 - A massacre of the shorties who speculated a plunge on Dissolution/GE13 announcement. even 1,700, before we see 1Q'13 close on Friday. - Note S&R on chart. - A rebound day, from 2,430 up to day high of 2,467, closed in doji at 2,447. 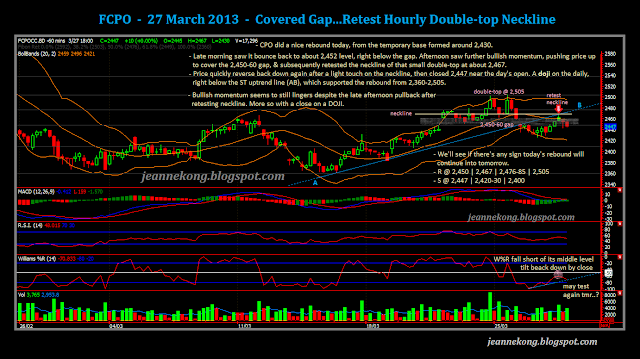 - Retested the hourly double-top neckline at when touches 2,467 day high. 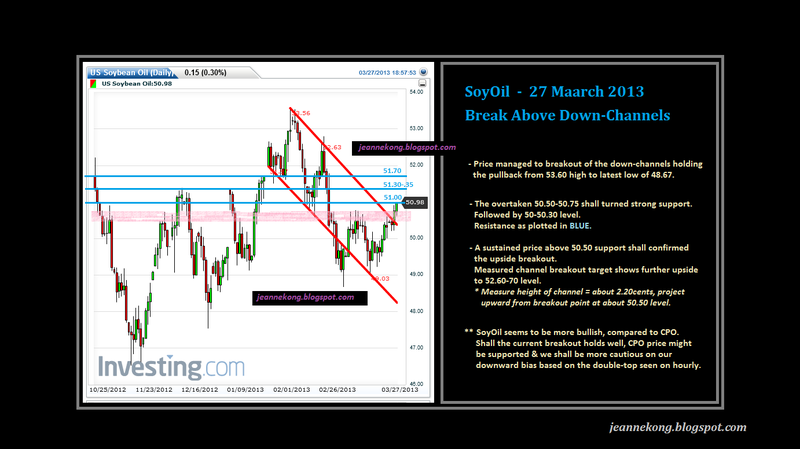 - Break above the down-channel housing the pullback from 53.60-48.67 since early Feb'13. - Breakout confirmed by a stay above 50.50 support, or above the down-channels. problems of high stockpile & low demand.